The Big Galute ensemble, l-r, Sasha Margolis, Mark Rubinstein, Robin Seletsky, Michael Leopold, and Richard Sosinsky on double bass. A look at the kind of entertainment you get in a night with Big Galute. 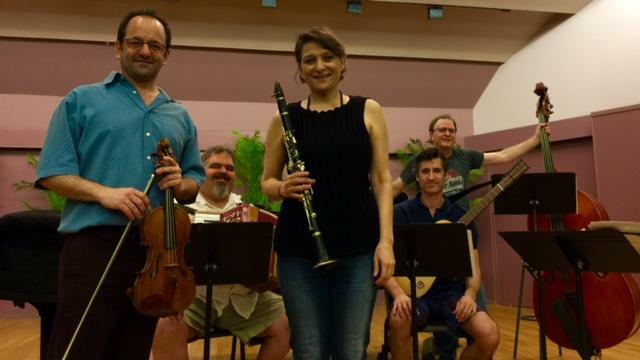 To purchase tickets for their performance Saturday, January 24, 7:30pm contact the Honolulu Museum of Art ‘s Doris Duke Auditorium. In the Honolulu Chamber Music Series, eighth blackbird is next, on February 13th.